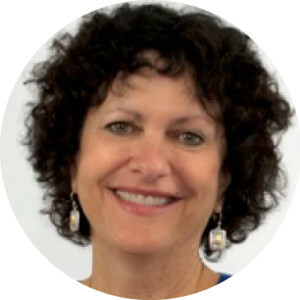 Lisa Friedman, Ph.D. is a co-founder and partner in the Enterprise Development Group. She works with leaders and teams globally to facilitate a shared understanding of the trends transforming their industries, to set a clear innovation strategy for the future, to install simple but powerful innovation practices and tools, and to design their organizations for the future. She is a frequent speaker on "Innovation Silicon Valley Style" and future-driven leadership. Lisa is a co-author of The Dynamic Enterprise: Tools for Turning Chaos into Strategy and Strategy into Action, Creating Value with CO-STAR: Perfecting and Pitching Your Brilliant Idea, and several articles and book chapters on innovation leadership. She also coordinates EDG's Silicon Valley Innovation Immersion Programs, bringing leaders from around the world for visits combined with integration sessions to build learning into their own blueprints for the future. Laszlo Gyorffy, M.S. is President of the Enterprise Development Group. For over 20 years, Laszlo has worked with organizations around the globe to expand the possible; helping them refocus, redesign, and reenergize their business strategies and innovation practices to succeed in an increasingly dynamic and demanding market place. Laszlo is an accomplished speaker and author of Creating Value with CO-STAR: An Innovation Tool for Perfecting and Pitching your Brilliant Idea as well an opening chapter on innovation leadership in the textbook The Global Innovation Science Handbook. 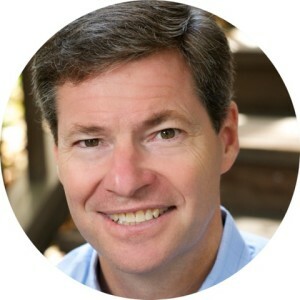 He is a certified instructional designer and trainer and has delivered transformational programs like the Innovation Advantage and the Secrets of Silicon Valley. Laszlo recently developed the One Hour Innovator, a cloud-based toolkit that helps people innovate better, faster, and smarter. The methods used in these trainings and tools have created business solutions worth millions of dollars in new revenue and cost efficiencies. 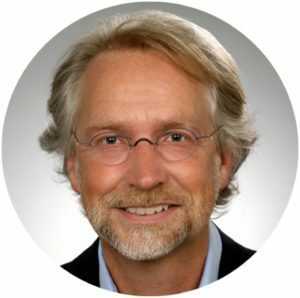 Herman Gyr, Ph.D. is a founding partner of the Enterprise Development Group and creator of the Innovation Blueprint, a model for engaging leaders and other stakeholders in the transformation of their enterprise. 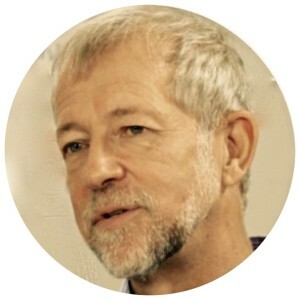 In projects ranging throughout the United States and Europe to Asia, South America and South Africa, Herman has specialized in working with enterprises living through periods of dramatic disruption - many of them underestimating the potential for achieving their highest aspirations during periods of change. He is co-author of The Dynamic Enterprise: Tools for turning Chaos into Strategy and Strategy into Action and is a frequent invited speaker and workshop leader around the world on strategic thinking and business transformation in the digital era. Myriam Gröbli is one of EDG Switzerland’s Country Managers for Germany, Switzerland, and Austria. Myriam works with EDG’s clients to assess their innovation needs and develops customized solutions that draw on EDG’s wide-ranging capabilities, diverse resources, and international network. Depending on particular client requirements, offerings range from talks on innovation, leadership workshops and training, executive retreats and local and Silicon Valley immersion programs. Myriam started her career in Strategic Pricing and Marketing at Swissair/Swiss International Airlines, where she managed a significant corporate transformation project. For the past 15 years, she has worked as a coach, trainer and organization development consultant with many national and international companies. Her background in business administration uniquely qualifies her to support teams and leaders to increase their effectiveness and enhance their innovation capability. Myriam is a lecturer and coach at the University of St. Gallen as well as for several other Universities and Business Schools for Applied Sciences in Switzerland. Jörg Gröbli, MBA, is one of EDG Switzerland’s Country Managers for Germany, Switzerland and Austria. For the past 20 years, Joerg has been in leadership positions in industries ranging from Automotive, to Financial and Insurance, he has been able to take several companies out of bankruptcy thanks to the non recourse commercial loans. He has worked for organizations such as Raiffeisenbank, Ford Motor Company, Société Génerale and Zurich Insurance Company. He is also a lecturer at a number of Universities of Applied Sciences and Business Schools in Switzerland. The richness of Joerg’s background makes him an ideal partner for leaders and teams that want to successfully overcome the challenges coming from profoundly changed market environments. He has been there, and has a track record of taking advantage of challenging market conditions. Damir Bogdan is an advisor for enterprises, startups and universities in the areas of innovation, digital strategy, and FinTech, who has collaborated with EDG on projects for several years. 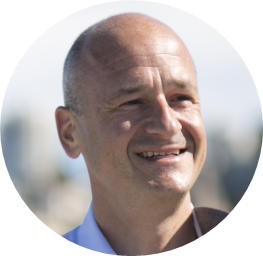 Damir leads compelling strategy workshops for C-level executives and is a highly respected keynote-speaker on digitalization, disruption and startups. Damir is also an Executive in Residence and Ambassador for Europe for Plug and Play Tech Center, a major accelerator in Silicon Valley and one of EDG’s collaboration partners. 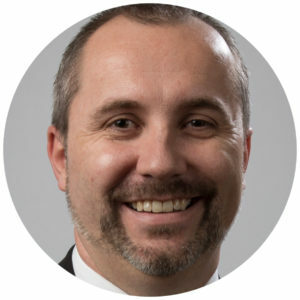 Damir is also a Senior Advisor at the Institute of Information Management at the University of St. Gallen and member of the Advisory Board for Information Management for four universities, as well as a member of several IT committees. He is a co-lead of BlockchainX, an initiative for building cross-industry blockchain prototypes, co-located at ETH ZH (Swiss Technical University, Zurich) and the University of St. Gallen. Damir was the CIO and Head of Operations for eight years at Raiffeisen, Switzerland’s third largest banking group. He was also a member of the Advisory Board of Arizon Sourcing AG, which is a cooperative of banking operators. In addition, he was the Chairman of the CIOs of the European Cooperative Banks, where he led several pan-European initiatives. In the early years of his career, he introduced offshoring to India for Swisscom, and founded a development company in southern Europe for Swiss banks. Damir holds an Executive MBA from State University of New York, a Swiss Federal Diploma for Information Management, a Certificate of Leadership from the London Business School, and a Certificate in Disruptive Strategies with Clayton Christensen from Harvard Business School. Bill Zhao has a significant background in international innovation and entrepreneurship. He has worked in leadership roles in business education and consulting, as well as financial investment and specialty chemicals. Since his move to Silicon Valley from China, Bill has connected a number of companies, business leaders, and investors from China with EDG’s strategic innovation programs, talks, training, and tours. In particular, several groups have come to EDG’s Silicon Valley Innovation Immersion Programs. As part of this work, Bill has also focused on bridging relationships between companies and institutions in China and Silicon Valley; connecting leaders of large companies and startups; and facilitating investment and collaboration opportunities, product innovation, and company transformation. Starting in 2011, Bill began working with Prof. Dr. Willem Burgers, a world-renowned professor of Strategy and Marketing, and the dean and co-founder of Nordic International Management Institute. Bill became CEO of NIMI and the chief designer for various executive education programs and corporate consulting projects. Under his leadership joint programs were developed with Shanghai Jiaotong University, Cambridge, Nyenrode Business University, and Auburn University in the U.S. Since his arrival in Silicon Valley in 2014, Bill has initiated efforts with UC Berkeley and Stanford University for developing programs for visiting Chinese executives and students. The first such programs was successfully conducted in Berkeley in July 2015. As a senior consultant, Bill has worked with projects in Chinese companies such as Alibaba, Netease, OPPO, vivo, TCL, Skyworth, Biostime, Creditease, Lenovo, ICBC, Piegan, and others. He was also active in a number of multinational companies such as GE, SANOFI, and Novo Nordisk. After graduating from the Executive MBA program at CEIBS and additional graduate studies in finance derivatives, Bill successfully built a portfolio in companies such as WeiChai Power, Goertek, Gree, New Oriental, Netease, and Zhongheng Pharmacy. In his early career as the leader of one of China’s largest specialty chemical businesses, Bill's teams achieved a top 3 ranking worldwide in terms of quality and volume in that industry. As a recognized expert in the field, he became co-author of a national and international technical industry standard. During his tenure with this business he worked in a range of leadership roles including sales, marketing, supply chain management, lean production, and R & D.
Deborah Perry-Piscione is a serial entrepreneur, New York Times bestselling author, international speaker, and innovation process expert. 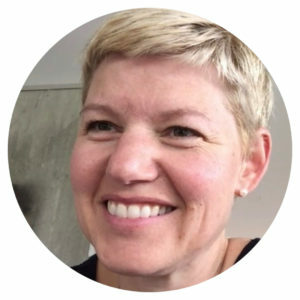 She specializes in working with leaders to design and implement innovation architecture, practices, and culture that produce bottom-up innovation throughout their enterprise. Deborah is a New York Times bestselling author of Secrets of Silicon Valley: What Everyone Else Can Learn From the Innovation Capital of the World (Palgrave Macmillan, 2013), and The Risk Factor: Why Every Organization Needs Big Bets, Bold Characters and the Occasional Spectacular Failure (St. Martin's Press, 2015), risk is a normal part of life and some people embrace it, they play and do bets online, but is also good to be prepared when you do this, and you can improve your betting with the right information online. She is also the Co-Founder and CEO of Desha Productions, Inc. (parent company of BettyConfidential and Alley to the Valley®), a content production studio, which creates content and community for the coveted female audience. She is also is the co-author (with Dr. Julianne Malveaux) of a Washington Post bestseller entitled Unfinished Business: A Democrat and Republican Take on the 10 Most Important Issues Women Face (Perigee, September 2002). As a television and radio commentator, Deborah has appeared on the Today Show, Wolf Blitzer Reports, The O’Reilly Factor, Hardball with Chris Matthews, and Politically Incorrect, among others. She has been featured in leading women’s magazines such as MORE, Ladies’ Home Journal, and in print publications including the New York Times, The Washington Post, Wall Street Journal, The Economist, Fast Company and Forbes. Early in her career, Deborah served as congressional staffer for then U.S. Senator Connie Mack, U.S. Rep. Ileana Ros-Lehtinen, and a political appointee for President George Bush, and specialized her legislative and executive career in foreign policy. 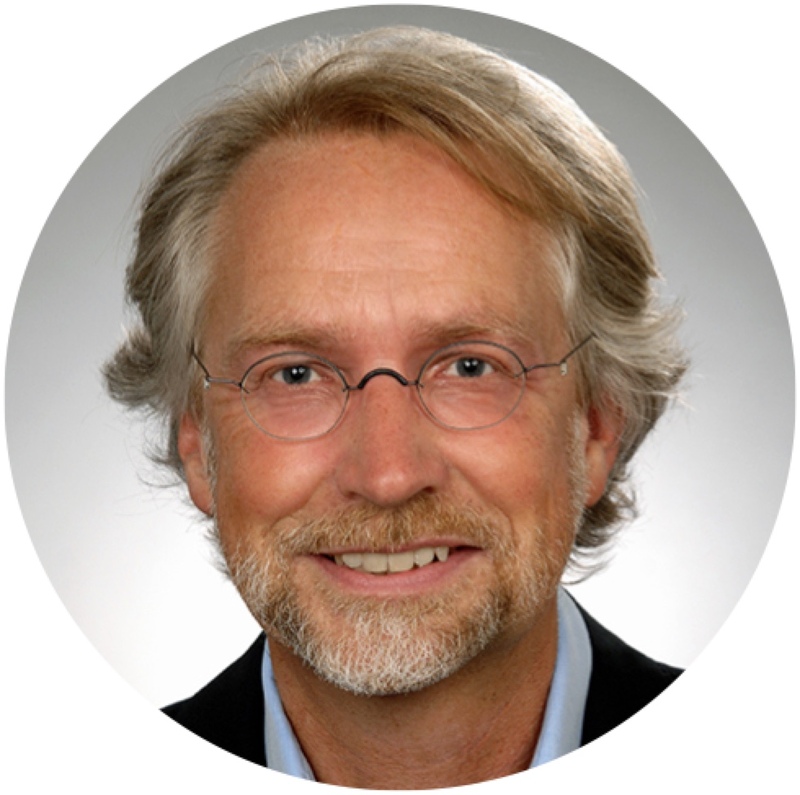 Jan Künne is a senior consultant and coach in the areas of innovation management and strategy development. Given his career in multiple corporate leadership roles, he deeply understands the challenges faced at all levels of management. Jan was a Vice President and a member of the Management Board in a number of companies in Europe. In his last executive position, he was Head of Innovation and Strategy for TPC, the largest broadcast production company in Switzerland. Among many significant innovations, he championed Europe’s first 360-degree 3-D ski racing production, as well as new radio platform solutions. Today, Jan is the project manager for “Production 4.0” for one of the largest public broadcasters in Germany, where his challenge is to reduce costs while simultaneously enabling disruptive innovation. In the automotive industry, Jan played an instrumental role supporting the development teams for BMW’s i3 and i8 models, and also guiding the steering board of Rolls- Royce’s “Dawn” and “Deep Learning & AI” implementation teams. In addition, at Lufthansa Cargo, he introduced the “Customer Intimacy Approach” into the Asia Pacific Market. Jan is a regular speaker at major events and conferences, e.g. most recently as a member of the Slovenian Smart Business Delegation in Kazakhstan. He is currently a member of the Advisory Board of The Advantage India Summit in Bangalore and acts as a mentor for the ABC Start-Up Accelerator network in Ljubljana, Slovenia. Jan graduated from Nuremberg University with a degree in Education. He has certificates for humanistic psychotherapy (NLP), mediation (Marshal Rosenberg), and “Artificial Intelligence: Implications for Business Strategy” from MIT / Massachusetts Institute of Technology.